This guide is to help you find your way around Omise with an easy step-by-step approach. It’s detailed, comprehensive and easy to follow; ideal for a non tech-savvy. 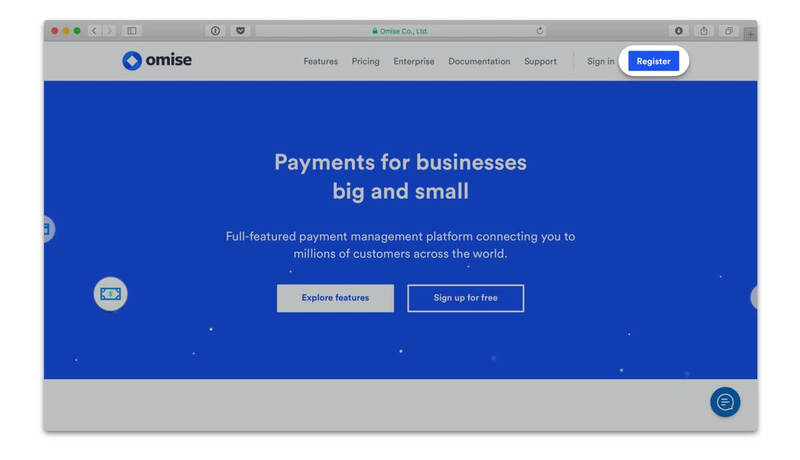 Signing up for an Omise account is simple. You'll find Register on the top-right corner of every page on our site. Fill in your email address and set a password for your account. one special character ex. @ & # ? 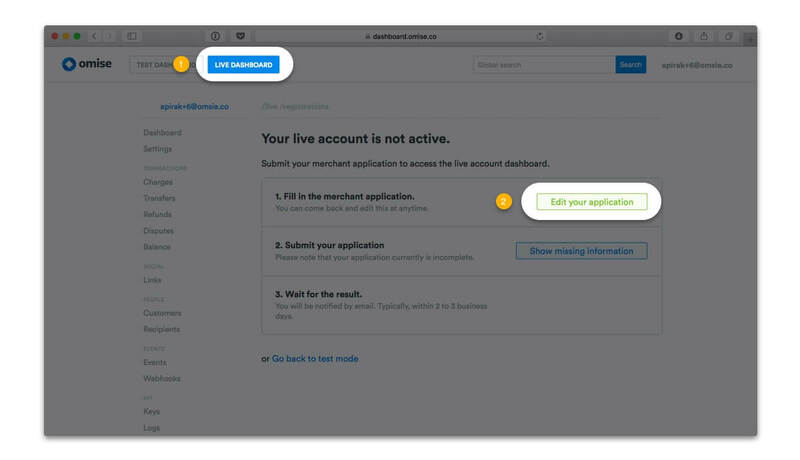 Once you submit, you’ll be directed to your dashboard and asked to verify your email address. Follow the onscreen instructions. The working environments, Test dashboard and Live dashboard can be selected from the menu bar at the top. Note that both environments are mutually exclusive. 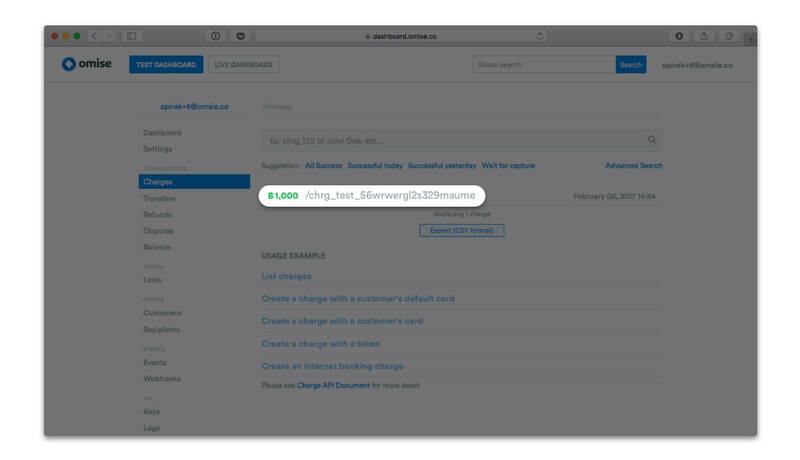 To create your first charge, click on Charges. 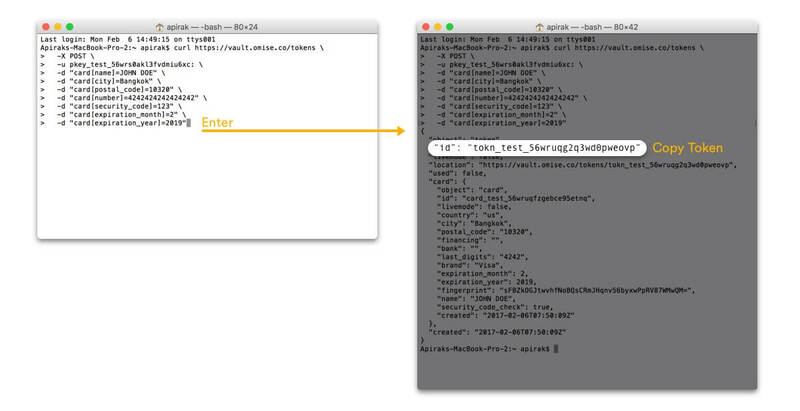 We’ll start testing by making an API call from the command line. 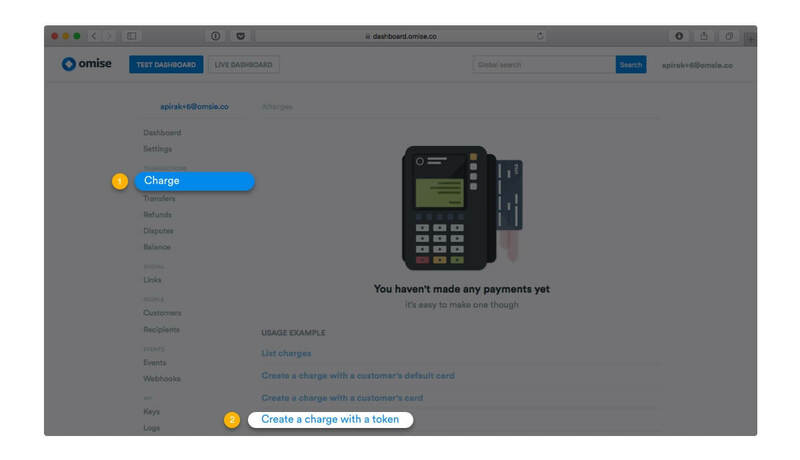 Once all set, click on Create a charge with a token. 2 sets of codes will appear. The first is used in creating a Token, and the second charges the card. The system will return a JSON response. 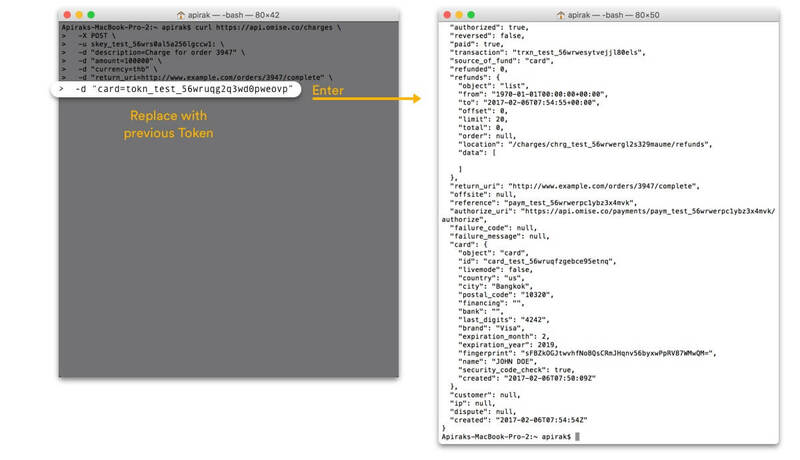 The Token generated is displayed next to “id”. 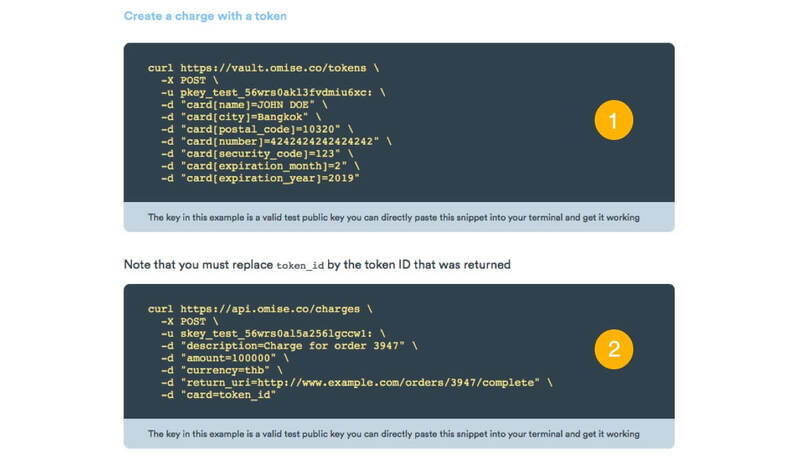 Copy the second set of code to Terminal and replace token_id with the Token id received. Check your dashboard. The successful transaction will appear under Charges. Payments received will be under On hold for the specific period (Thailand: 7 days, Japan: 21 days) before the funds are moved to the Transferable balance. Only funds in the transferable balance can be withdrawn from an Omise account. 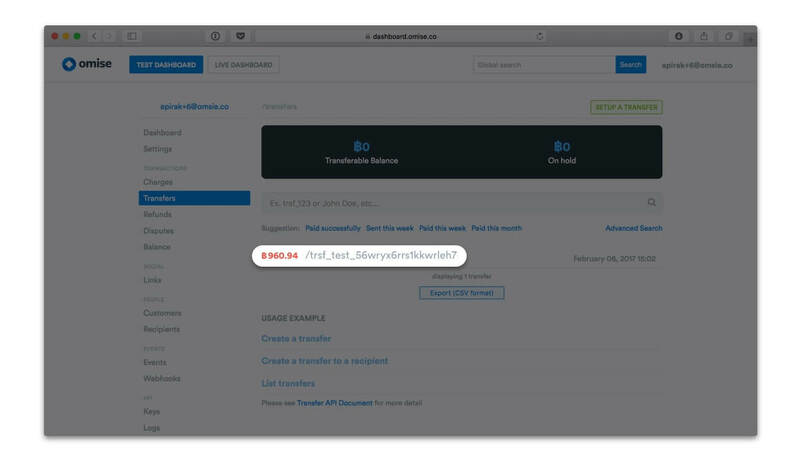 Note: In test dashboard the received amount will automatically go to your Transferable balance. Whenever you wish to make a transfer, click on Setup a transfer. With Omise you have 2 options of transfers; a full transfer (the total amount will be transferred from the Transferable balance) and partial transfer (a specific amount is transferred). When you Setup a Transfer, a transfer will be created but its status will be set to Pending. Unlike banks, we can’t process transfers right away. We batch them and send them once a day around 10 am. 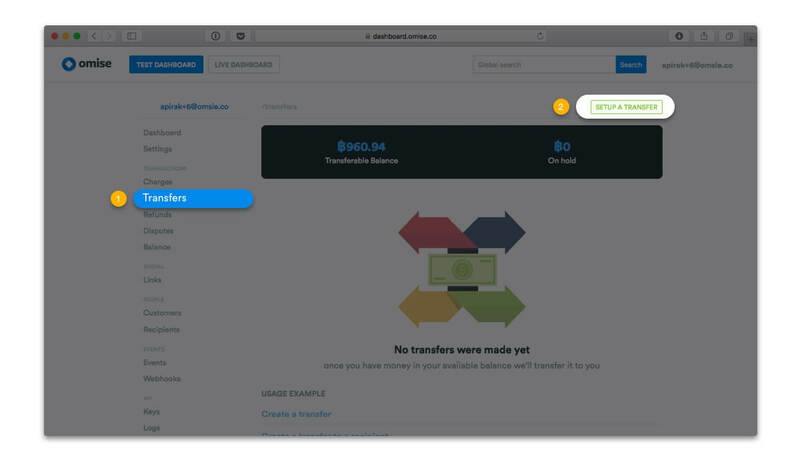 Once the bank successfully processes the transfer to your account, Omise gets notified with a Transfer Success notification. We will then pass that message on to you. Test mode: You could easily simulate the process by checking Mark as sent to indicate that the transfer request has been sent to the bank and check Mark as paid to indicate the bank’s response. Once a transfer is created and request sent to the bank, the amount will be deducted from your Transferable balance. The funds will be transferred to your bank account the next day. 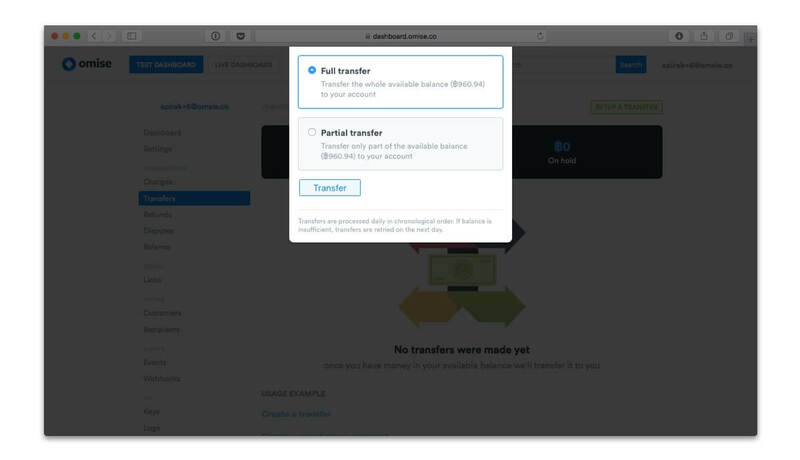 Note: If the amount requested is greater than the amount available in your transferable balance, the transfer will be unsuccessful, the status will remain as pending and the transfer will be retried on the next day. implementing to a mobile app? If your using our API with a PHP site without a plugin or composer here’s what to do. When working in live mode, we do recommend using git clone as it is easier to keep codes up-to-date. The code already contains a set of public and secret keys. Replace them with your own keys, and you’re ready to test the code. 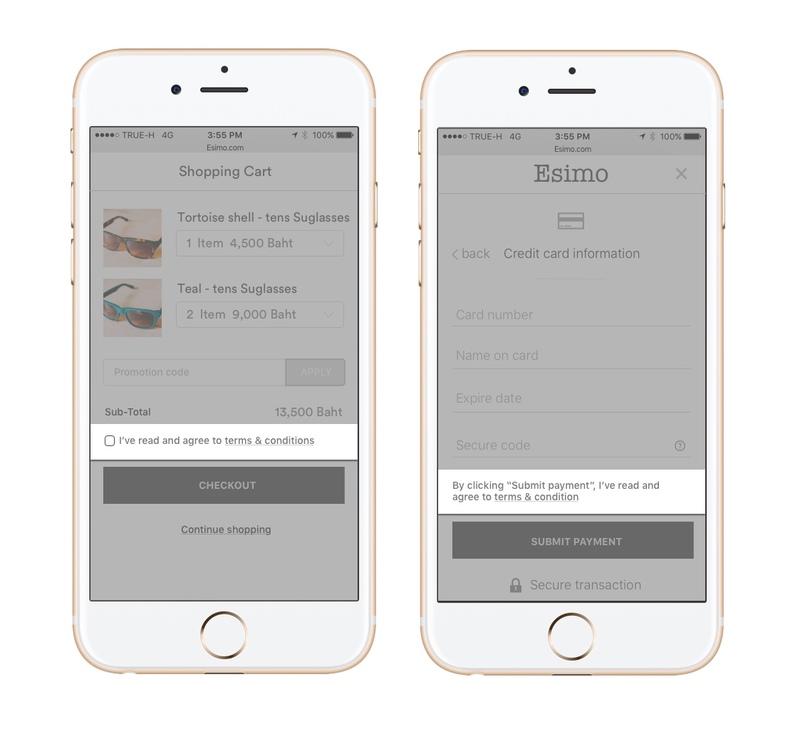 Once the form is submitted and the charge is successful, a notification message will appear. Learn more from our documentation or if you still have questions after reading, head over to support. 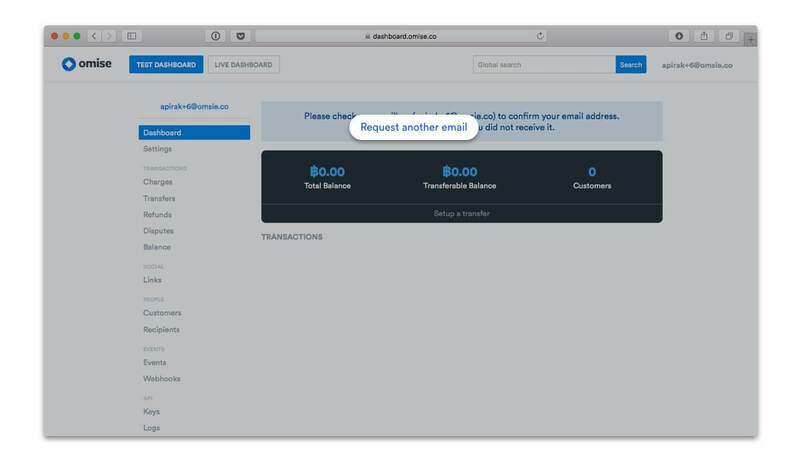 To start receiving actual transactions, you’ll have to enable live dashboard. A few documents must be submitted online for approval. 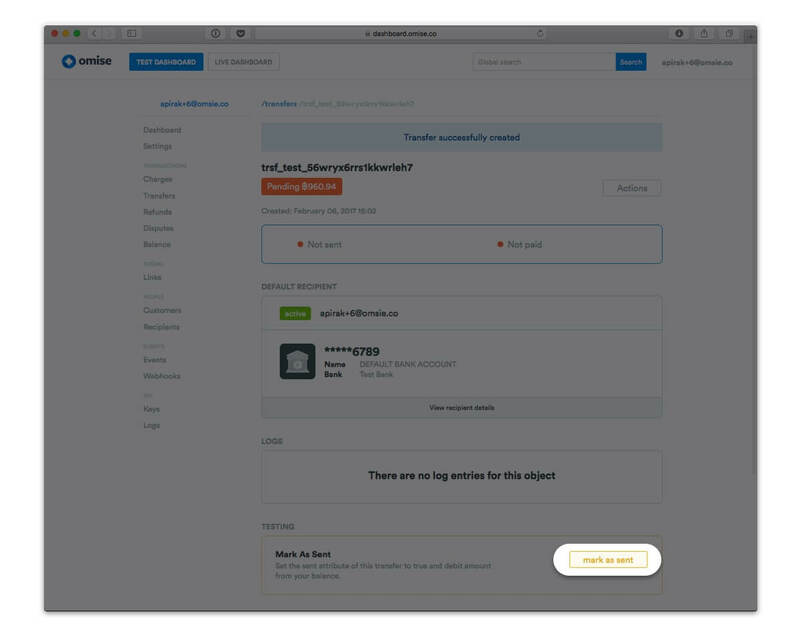 On the checkout screen, near the submit or click to accept button. Note: The disclosure must not be solely on a link to a separate web page. A copy of your registration documents ready for upload, in PDF, JPG or PNG format. See below for the detailed list. The front page of your preferred Thai Bank passbook showing the account number that will collect funds. This account name must match the company name stated on the company's registration document. All documents must be signed by the authorized director(s) and marked "certified true copy" with company seal affixed. Please note that e-signatures are not accepted. The front page of your preferred Thai Bank passbook showing the account number that will collect funds. This account name must match the name on the ID card. All documents must be signed and marked "certified true copy". Fill in the form and submit it for approval. Omise will review your registration and enable Live mode on your account within a couple of days. We may contact you back if more information is required or if your registration is incomplete. How do I enable live account?